Eric concentrates his practice in the regulatory, transactional and business aspects of health care law. He has extensive experience in the sale, purchase and leasing of health care assets, facilities and services, including nursing homes, nursing home bed rights, senior housing facilities and physician practices. Eric has extensive experience in the financing and re-financing of health care facilities, utilizing bank or HUD lending sources. He provides general counsel for the operational needs of long term care and senior housing facilities. In addition, Eric provides counsel in the planning, drafting, and prosecution of Certificate of Need applications, as well as administrative and judicial Certificate of Need appeal proceedings. He is well-versed in physician, hospital, long-term care and physician group contracting matters, as well as health care facility licensure, certification, and development procedures. 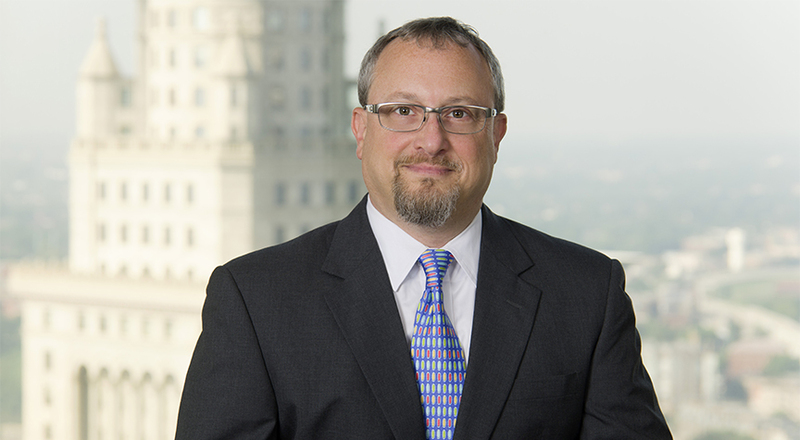 Eric is past chairman of the Health Law Council of the Cleveland Metropolitan Bar Association's Health Law Section. He is also a frequent lecturer before health care industry and trade associations and organizations, including the Ohio Health Care Association and Lorman Educational Seminars, as well as various nursing and insurance industry conferences. Eric has been listed since 2007 in Best Lawyers in America for Administrative/Regulatory Law and for Health Care Law.